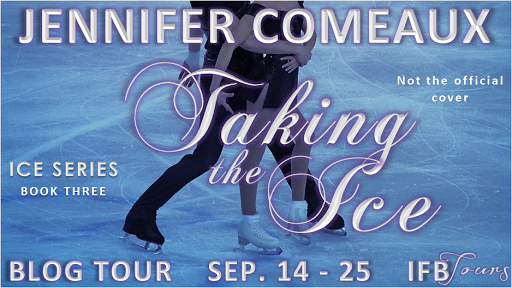 Thank you, Trish, for having me as a guest today and helping me celebrate the release of Taking the Ice, the third and final book in the Ice Series! I was asked to share my all-time favorite books, which isn’t an easy task because I read a lot and my favorites are constantly changing. I thought I’d start by going back to my childhood, and the first thing that came to mind was the Sweet Valley High series. I devoured those books and couldn’t wait until the next in the series showed up in my local bookstore. Those stories majorly influenced my writing when I was young, and I find that they still creep into my writing even now! My favorite book that I read in school was by far To Kill a Mockingbird. I read it over and over and was completely enthralled by the characters and the story. There was something about that book that totally fascinated me. In recent years, most of my favorite reads have been YA contemporary romances. I loved My Life Next Door by Huntley Fitzpatrick, The Start of Me and You by Emery Lord, On the Fence by Kasie West, Lola and the Boy Next Door by Stephanie Perkins, and I’ll Meet You There by Heather Demetrios. I’m a sucker for a sweet, swoony romance, and all of these books have that and then some! I think the ice series is a great idea. Awesome guest post. Who doesn't love To Kill A Mockingbird? :) Such a classic! I cannot wait to read the Ice Series!! Thanks so much for having me as a guest, Trish!! Oh I LOVE the Ice Series! Skating has always been a part of our family, and reading romances about it would be so neat! I think it's so interesting! The series sounds like interest reads. Would love to read them. The series sounds like interesting reads that I would love to delve into.